Whether you’re running a business, a blog, or some other kind of website, social media is a fantastic way to engage with your audience. Today’s article is going to show you 3 ways you can add your Twitter to a WordPress website so you are always connected to your audience across all platforms. Social media is the new key to growing a website: it’s a way to connect with your audience and get your website’s name out there. And with over 328 million accounts active daily, Twitter is a major player in the social media marketing world. Integrating your Twitter account directly with your WordPress site can make it easy for your audience to find your social media platforms, to follow you across multiple websites, and connect your brand across social media accounts. Keep reading to learn 5 ways to easily connect Twitter to a WordPress site. This plugin created by the web developer WebDorado makes it easy to add all the best parts of Twitter to your site. 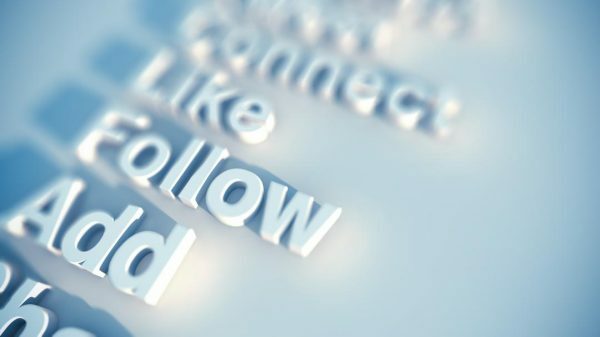 This plugin will automatically connect your twitter account to your website and add the following buttons to all of your posts: Follow, Tweet, Mention, and Hashtag. Your audience will then be able to easily click one of these buttons to directly share and comment on your post through Twitter. You can also get Twitter followers directly through your website with this plugin’s added “Follow” button. Perhaps you want something more simple. If you only want to feature a single tweet of your (or anyone’s!) in a blog post, WordPress makes it simple and easy. Let’s say you want to embed a tweet from The Hoth’s Twitter account into your blog post about SEO marketing. Simply copy the URL of the tweet you want to feature and paste it within the blog post. WordPress will automatically format it to be embedded in your post and your website. It will be fully interactive as well: your reader can favorite, retweet, and follow as you can normally through Twitter. The best part is, this requires no extra downloads, widgets, plugins, etc. WordPress does all the work for you. Let’s say you want to showcase all of your tweets right on your website without having to embed individual tweets. That’s what this plugin allows for: the Twitter Feed Plugin uses both widgets and shortcodes in order to display your Tweets right on your website. It can be fully customized to get the exact look you want. It’s also easy to use, so you don’t have to worry about understanding code to get this plugin to work. The tweets featured will be interactive and look just as they do on Twitter. This means GIFs, videos, and pictures will all be shown just like they do in the original tweets. Whether your WordPress website is for your small business, for displaying your art, or for running a blog, integrating social media can attract a wider audience and connect with your readers. Twitter is one of the most popular social media platforms; connecting Twitter to a WordPress site is an easy and simple way to connect with your audience and keep up with the social media trend. Contact us with any other WordPress or social media questions you still have.